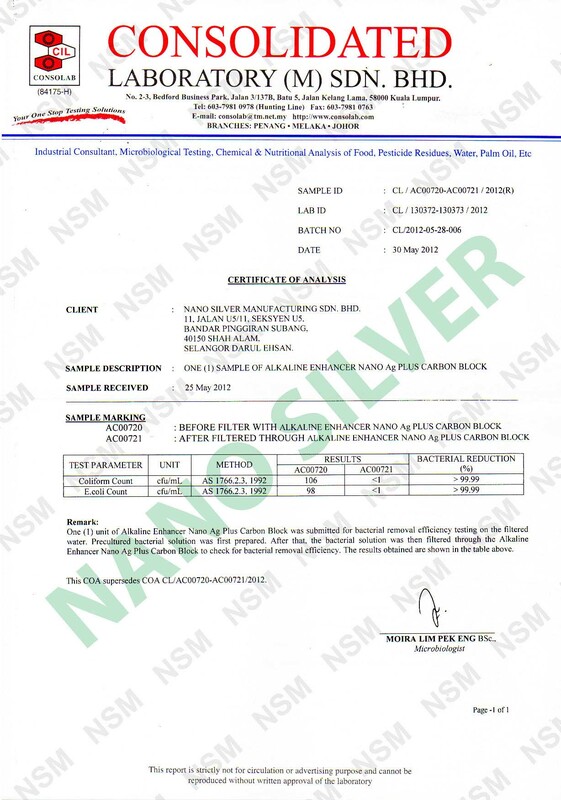 NANOTEC® Nano Ag Plus Alkaline Carbon Block is produced by using revolutionary biding material & state of art process. 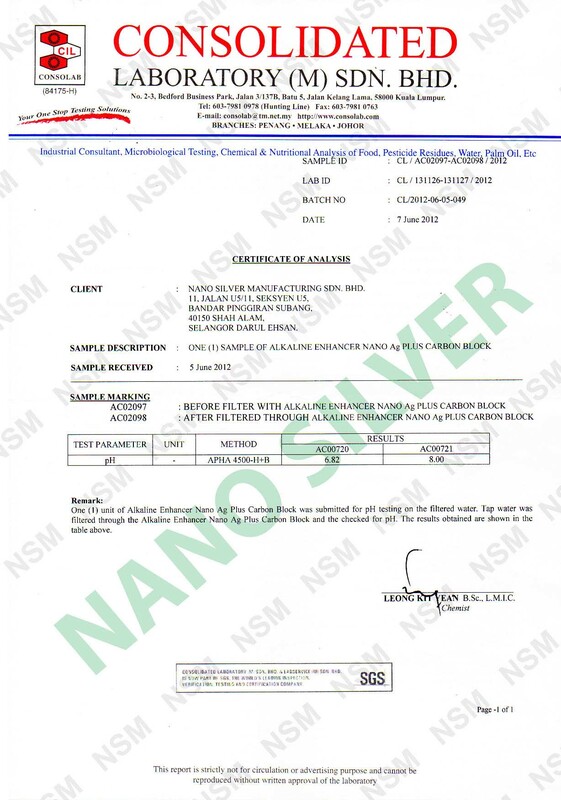 This advance method produces a uniform & strong carbon block with exceptional filtration efficiency and capacity. 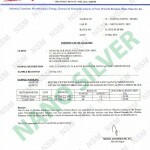 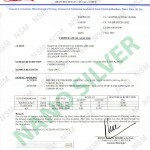 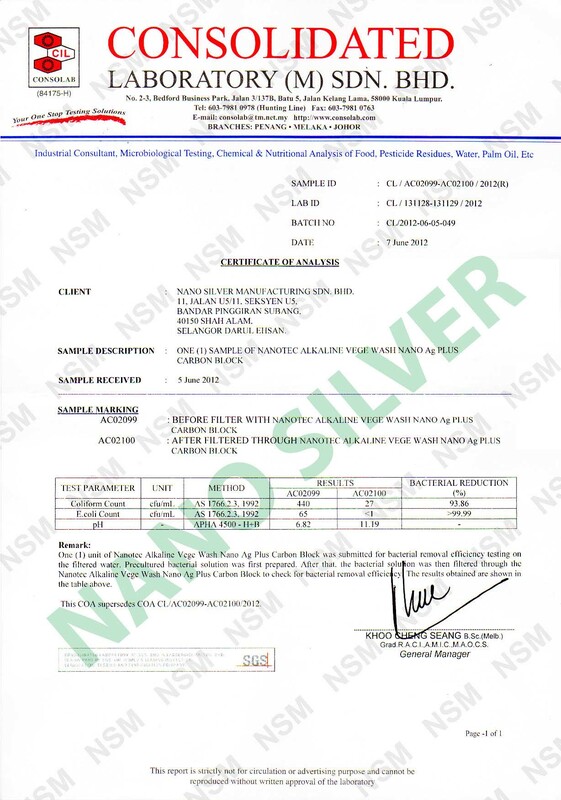 Manufactured with material that complaints to NSF / ANSI Std 42 protocol, coated with Nano Silver for antimicrobial properties and enhance with nano technology alkali media that produces drinking water with a pH of 8.0 to pH of 9.0.Made with 100% NSF Std 61 Certified coconut based granular activated carbon for excellent reduction of organic matters, taste, odor, chlorine and with antimicrobial effects. 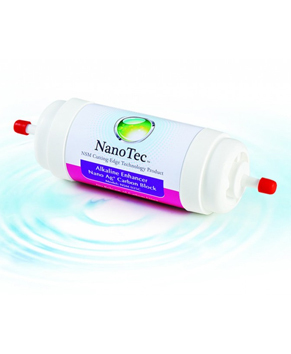 Remove Bacteria such as E.Coli, Coliform, streptococcus, salmonella, and pseudomonas Aeruginosa. 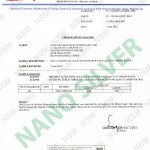 Remove Chlorine, Heavy Metal, Color, Odor and Sediments.